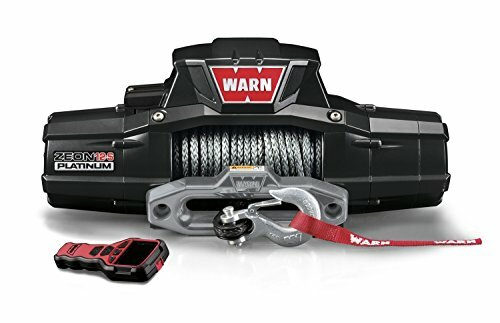 Now the world’s most technologically advanced winch – the ZEON Platinum – comes in a 12,000 pound capacity version spooled with extra-strong Spydura Pro synthetic rope. Already packed with performance features, ZEON Platinum 12-S features the Advanced Wireless Remote that puts winch, clutch and accessory control in the palm of your hand. And now, with the addition of Spydura Pro, you can really see what it means to be winching’s top dog.